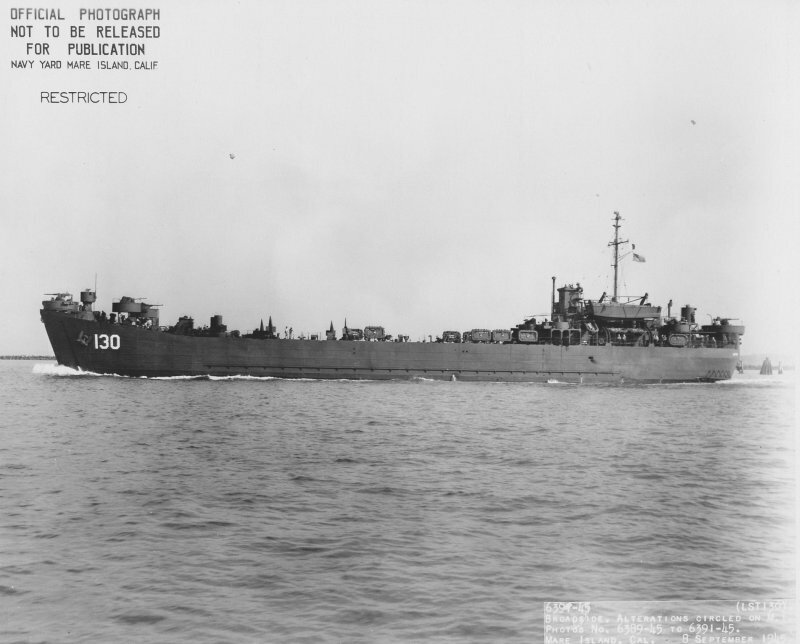 Laid down, 5 July 1943, at Missouri Valley Bridge and Iron Co., Evansville, IN. Final Disposition, sold for scrapping, 27 May 1948 to Bethlehem Steel Co., Seattle WA. 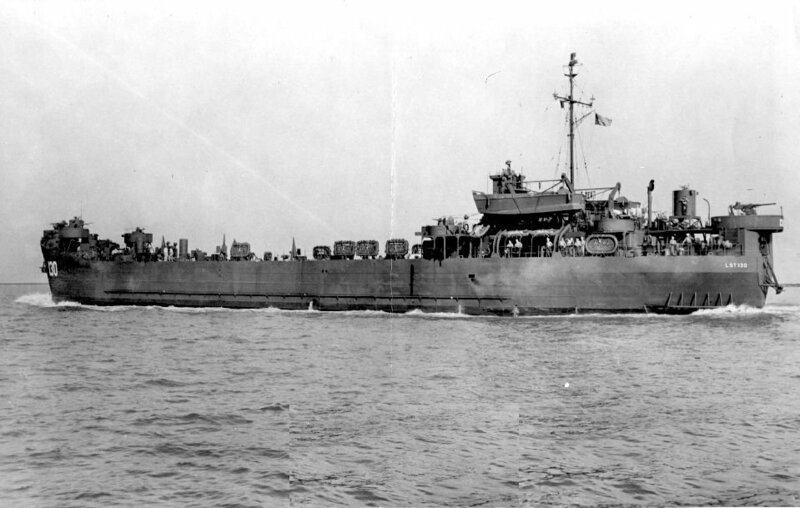 in honor of his brother Wilburn W Norwood, BM1/c USN, USS LST-130 1943-45. 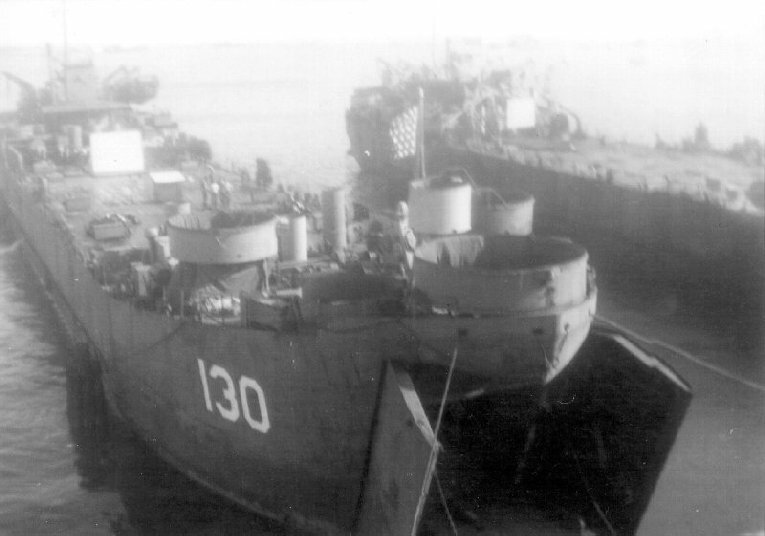 133k Aft plan view of USS LST-130 at Navy Yard Mare Island, Vallejo, CA., 7 September 1945. 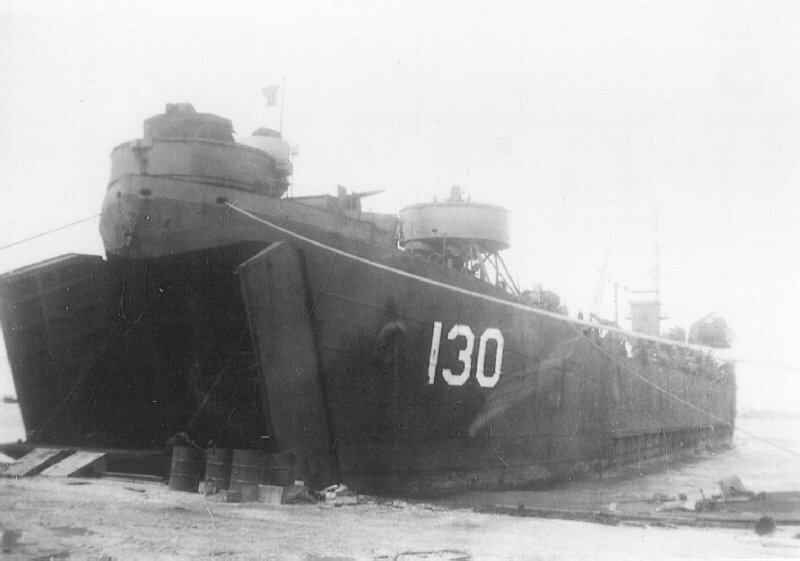 LST-130 was under repair at Mare Island from 24 August to 8 September 1945. 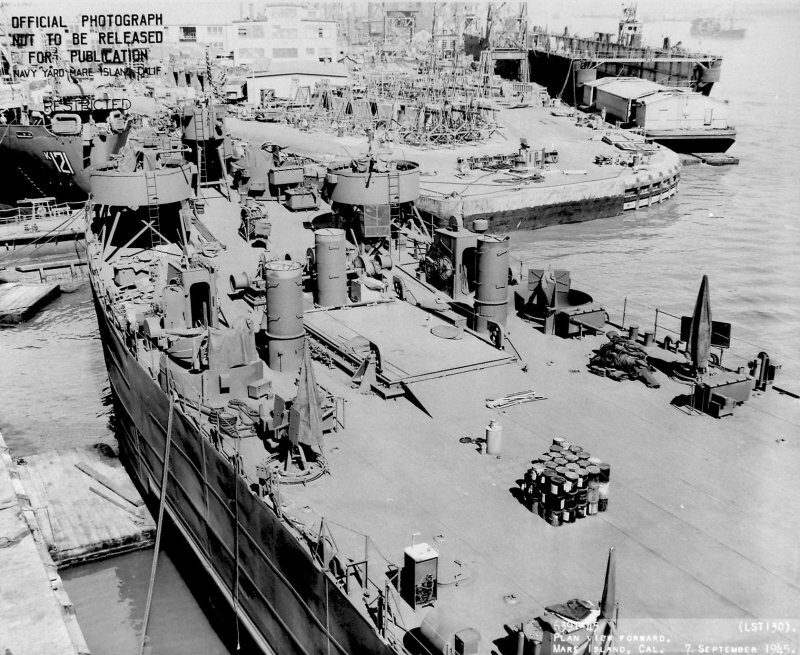 150k Forward plan view of USS LST-130 at Navy Yard Mare Island, Vallejo, CA., 7 September 1945. 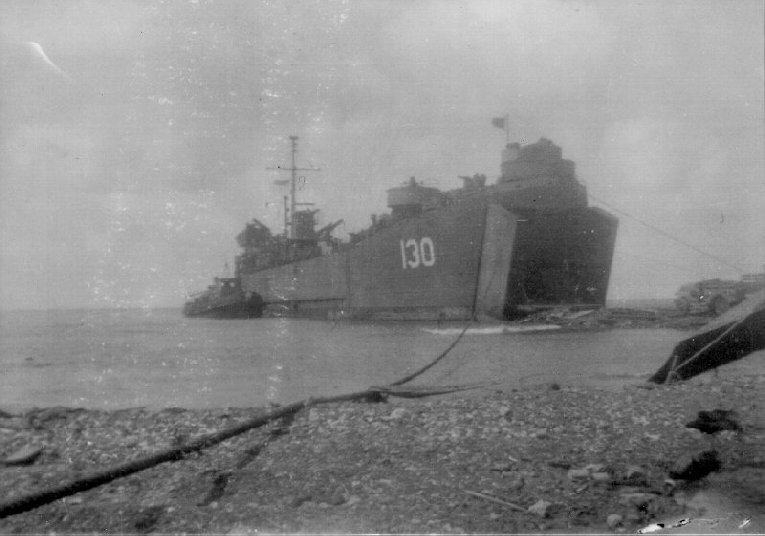 USS Sabik (AK 121) is forward of LST-130 while a covered lighter and USS ARD-11 is to the right. 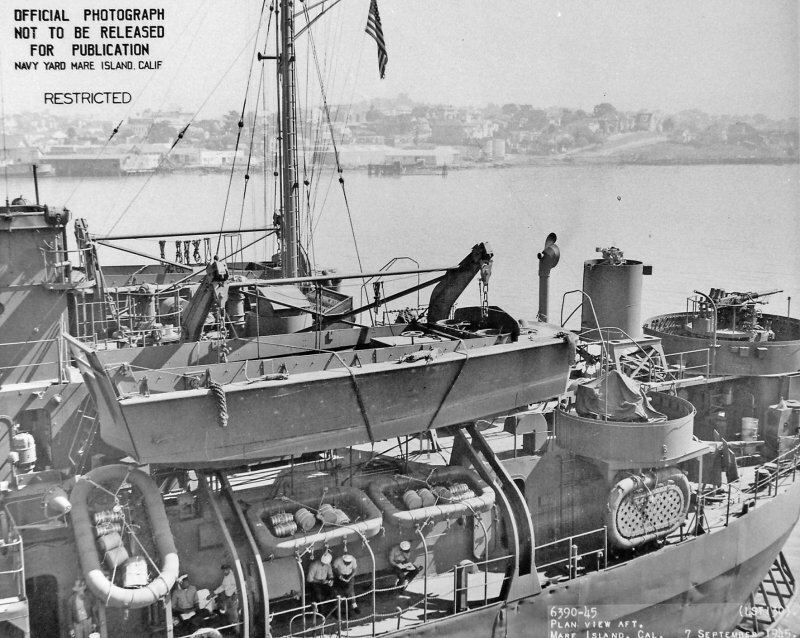 67k Broadside view of USS LST-130 departing Navy Yard Mare Island, Vallejo, CA., 9 September 1945. 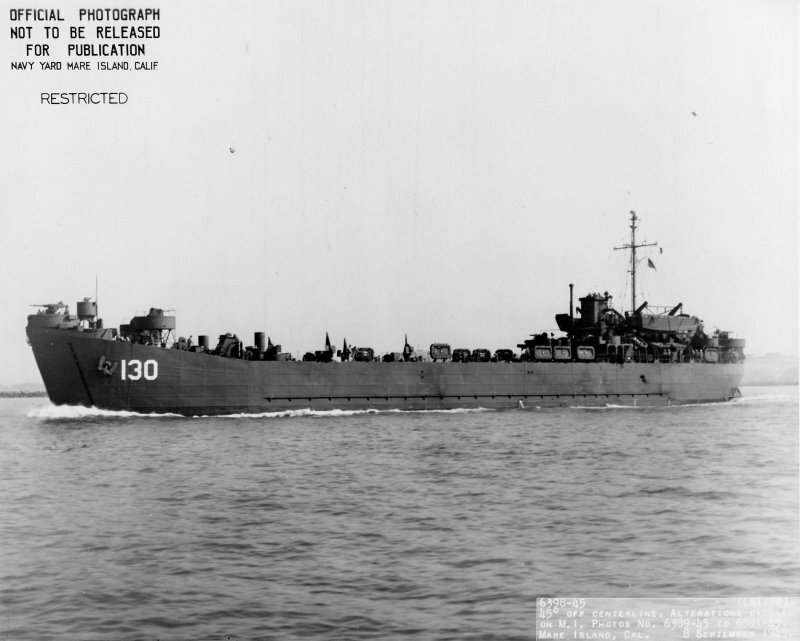 69k Broadside view of USS LST-130 departing Navy Yard Mare Island, Vallejo, CA., 9 September 1945.